Friends of Yemin Orde is the U.S. fundraising arm of Yemin Orde Youth Village and Village Way Educational Initiatives (VWEI) in Israel. Yemin Orde Youth Village is located in the Carmel Forest region of northern Israel, near Haifa. It is home, school and safe haven to 430 at-risk immigrant youth from all over the world, including Ethiopia, France, the former Soviet Union, and Brazil. Most of Yemin Orde’s youth have experienced trauma: from abandonment and isolation to loss and extreme poverty. With the help of the Village’s dedicated staff and educators, fragile teens develop self-esteem, leadership skills, strong cultural identity and a positive and hopeful outlook on life. Graduates receive a wide range of services including scholarships and emergency financial support. The Village’s “Home Away From Home” Graduate House is available for short or lengthy stays, and alumni stay connected to the Village long after graduation. At Yemin Orde, Israel’s youth at risk find a family and a forever home. Village Way Educational Initiatives (VWEI) extends Yemin Orde’s unique methodology, called “the Village Way”, to 31 other youth villages, therapeutic residential communities and public high schools in Israel, including schools in Israeli-Arab communities. VWEI provides workshops, teacher training and interventions to its partner educational communities. In this way, educators are empowered to better help their at-risk students succeed. To date, VWEI has impacted 11,800 students and 1,500 educators in Israel. By 2020, VWEI hopes to partner with a total of 56 educational communities in Israel. 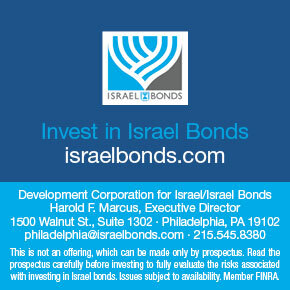 Visit www.yeminorde.org for more information, email info@yeminorde.org, or call 202-237-0286. 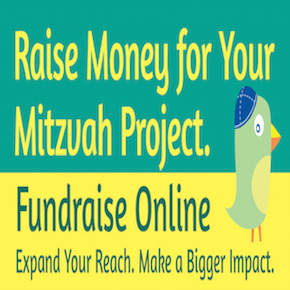 Friends of Yemin Orde and its Meaning Through Mitzvot program enables teens working on b’nai mitzvah projects to create fundraisers to support programs and activities at the Village. This includes care packages for IDF soldiers; school supplies for the Village’s children; sports and exercise equipment; summer camp opportunities; field trips and more.